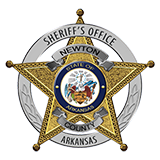 Newton County Sheriff Keith Slape said that a meth cook was discovered in the Liberty community of the far northwest corner of Newton County. Slape said that John Eddings, 18, of Harrison and Jordan Amy Woodell, 18, also of Harrison were arrested March 1 at an abanded house. Deputies responded to call saying that someone were in the house and they wanted them removed. When deputies arived they found the meth lab and arrested the two and one other escaped on foot. The third person was later identified as Richard Dacheff III, 38 of Green Forest. Eddings and Woodell were charged with manufacturing meth, possession of paraphenlia, and criminal trespassing. "We are still looking for Dacheff but we believe he has left the Liberty area" Slape said. The 14th Judicial Drug Task Force assisted in the investigation.